APSSA, Amaravati - SIEMAT - State Awards to the Female Teachers for the year 2018 for birth day Celebration of Smt. Savitribai Phule Jayanthi on 3rd January 2018 - Proposals called from 21.02.2017 to 27.12.2017 by the District Selection Committee - Selection of Awardees applicant - Instructions - Issued. The Government of Andhra Pradesh have introduced state Awards for Women Teachers and decided to honor the best female teachers who have rendered their services in school education on the eve of Smt. 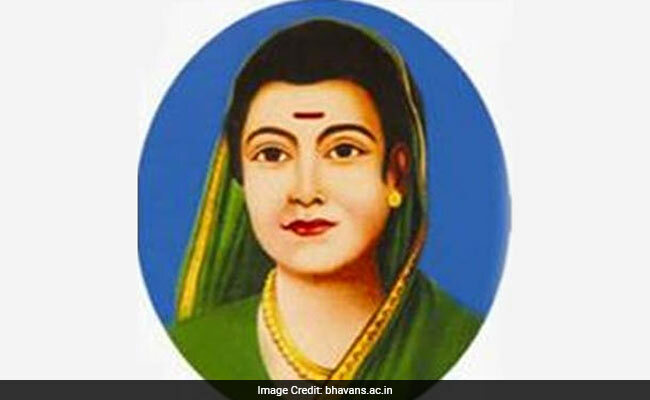 Savitribai Phule Jayanthi celebrations on 3rd January. Further it is informed that every year State Awards are being awarded by Government of Andhra Pradesh to the Best Teachers Selected on the occasion of Teachers Day i.e., Birth Day of Dr. S. Radhakrishnan, the former President of India on 5th September as per Government orders vide reference 151 to 3'd cited. 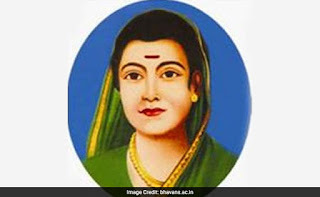 Further informed that, it is proposed to conduct Smt Savitribhai Phule birth day on 3rd January of every year in the State as women teachers day as she was the I" Women Teacher in India. The Government of India have promulgated an Act i.e. "The Right of Children to Free and Compulsory Education Act, 2009 (Act No. 35 of 2009)" popularly known as RTE Act. In the said Act, among other things, Govt. of India has incorporated the duties of Teachers and redressal of grievances. Government of Andhra Pradesh has also issued Rules under the provisions of RTE Act. In view of the RTE Act and Rules issued there under, it is desirable to honor the teachers who have performed their duties sincerely and honestly and worked hard for the development of education of children in their schools with special focus on Access, Enrolment, Retention, Transition to next higher classes, improved Evaluation techniques, needs of special children and community mobilizes for right approach to quality education. 1 ). Conditions of eligibility of Teachers for considering for the State Awards. j) Strengthening of national integration like - NCC/ Scouts & Guides/NSS/ Other activities. (DIET, Lecturer/Headmaster of Govt./Z.P. H.S). exceed 10 lines on each of the selected teacher, to the District Educational Officer concerned. LEVEL: I. Deputy Educational Officer . from Mandal Educational officers and Deputy Educational Officers and Principals of DIETs/lASEs/CTEs/College of Physical Education before the District Selection Committee for selection of the Best Teachers. each category, shall be sent in the prescribed proforma along with the Certificate of antecedents and character, Marks awarded by the Committee duly signed by all the members of the Committee together with Citation which shall not exceed 10 lines on each of the selected teacher at District Level, to this office, in a sealed cover. b) Special Work done for raising the Standard of Education. c) Teaching Methodology being followed by the teacher. d) Inculcating Interest in extracurricular activities among the students. e) Educational innovative writing useful to the students. g) Gender sensitization & Girls Education h) Women Empowerment. I) Strengthening of national integration like - NCC/ Scouts & Guides/NSS/ Other activities. m) Cultural Programs at District and state level. o) 20 years experience restriction will not be applicable to the KGBV SOs/CRTs as they are contract teachers and the KGB Vs are only established with effect from 2004. Educators under his/her control and place their particulars before the District Level Selection Committee through District Educational Officer concerned. The Teachers and Teacher Educators selected by the State Selection Committee will be honored with Cash Award of Rs. 10,000/-, Gold Plated Silver Medal, a Shawl, Tab and a Merit Certificate. The T.A.will be paid and 2"d Class Railway Fare or Bus Fare and D.A. will be paid as per A.P.T.A. rules. It is intimated that this programme is a time-bound programme and as such, the proposals together with the Antecedent and Character Certificates and Citations, duly signed by the District Selection Committee should be sent to this office on or before 28-12-2017. The proposals received without the Antecedent and Character Certificate, Citation etc. shall be summarily rejected and those proposals received after the last date prescribed will not be entertained and considered. The Project Officers of Sarva Shiksha Abhiyan & District Educational Officers in the State are requested to submit the proposals in the prescribed Proforma and word document of the same shall be emailed to mail id siematap(@.gmail.com while sending a hard copy of the proposal to this office by 28.12.2017. No proposals are not accepted after the due date.